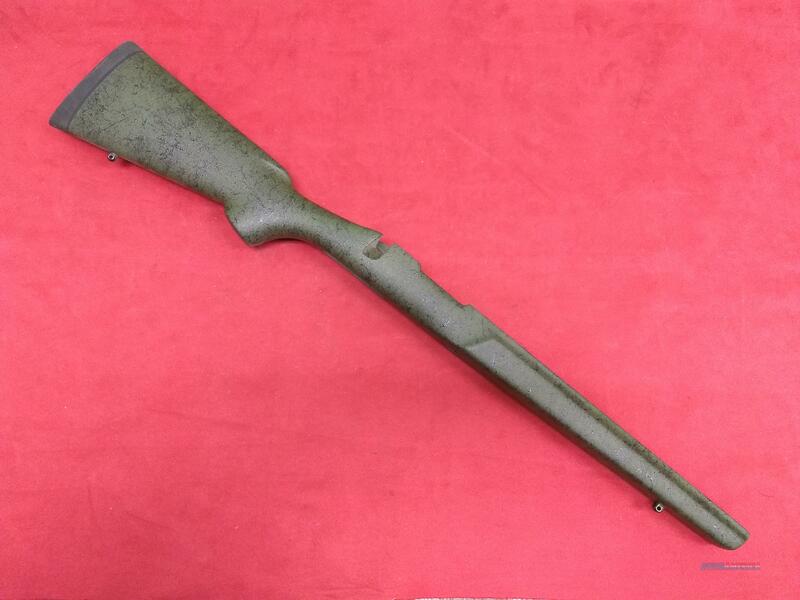 Description: This listing is a Bell & Carlson Light Varmint style gunstock for a Remington 700 ADL short action in Olive Green w/ Black Spiderweb. It features a Pachmayr Decelerator recoil pad, dual aluminum bedding pillars, front and rear sling swivel studs, and a semi-beavertail forend with barrel channel that will accommodate up to a magnum contour barrel. This is a great rig for anyone looking to build a "walking varminter" style rifle!